The nonpartisan Vermont State Society is pleased to forward Washington, D.C. metro area campaign event invitations to our membership at the request of the candidate. Each campaign (not VTSS) is responsible for their event and any subsequent contact. Holding a campaign event in the D.C. metro region? Contact VTSS at info@vtss.org. Please note that VTSS does not share member email addresses and does not endorse candidates. 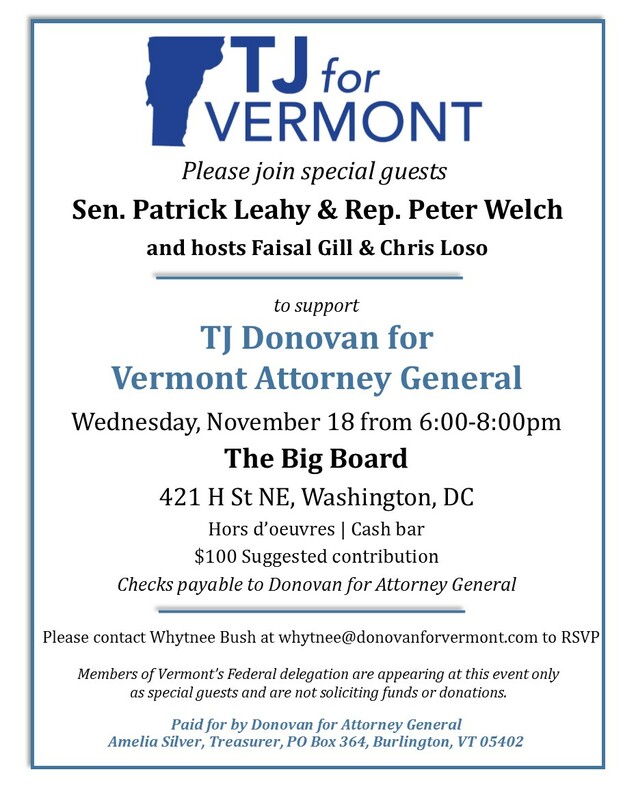 Regular invite, with special rate for VT State Society members.